There’s a mathematics to tooth whitening. A science. And understanding this is fundamental if you want to lead the way in professional tooth whitening. As well as helping you grow your knowledge on one of today’s favourite cosmetic treatments, understanding the science will ensure you offer your patients the safest, yet most effective, teeth whitening solutions. 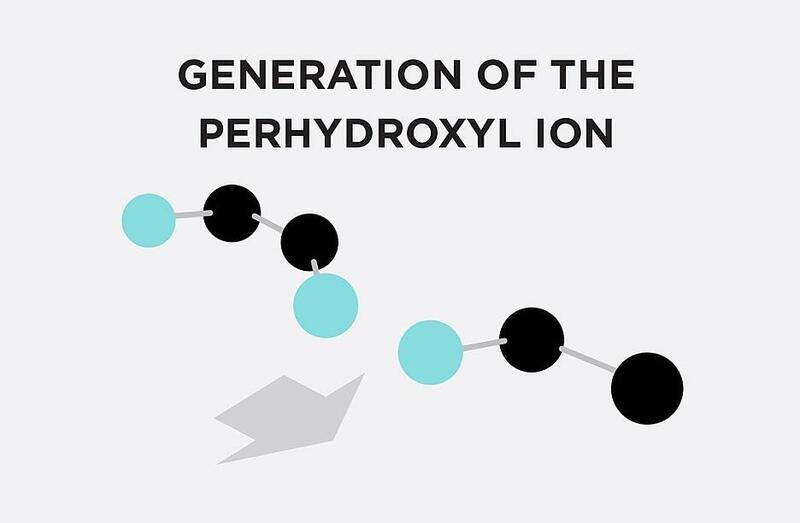 Step 2: The perhydroxyl ion passes through enamel into dentine. 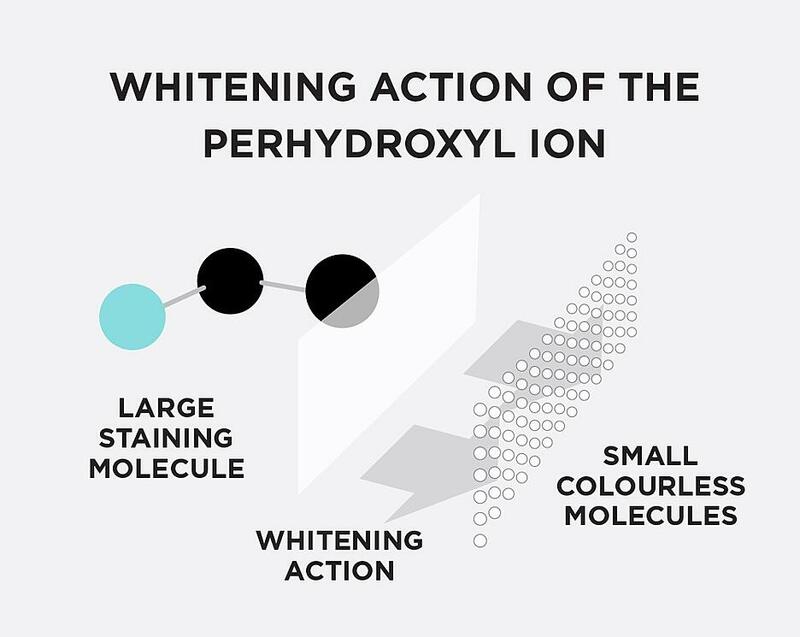 Behind effective whitening agents is the release of perhydroxyl ions, which is triggered when Hydrogen Peroxide moves into an alkaline state with a pH above 7.0. Once released, they break down the large staining molecules and deliver the visible whitening effect. As advancements in dentistry progress, and a new generation of whitening gels move to the forefront of the industry, whitening gels are finding novel technologies that enhance the release of perhydroxyl ions. 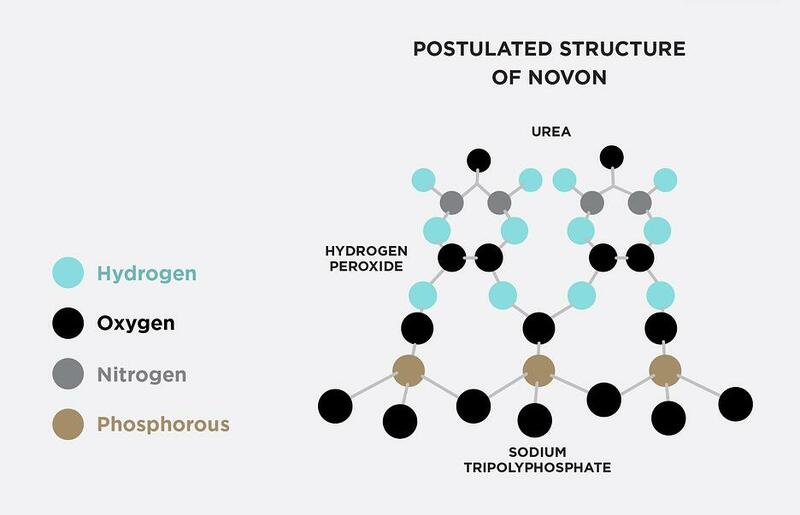 This unique adduct gives all whitening gels featuring NOVON a unique feature: a pH jump that enhances the release of perhydroxyl ions and thus, the whitening effect. And as the tooth whitening industry continues to thrive and grow, we only expect this technology to develop further. The product should be manufactured with a pH below 7.0 - in acidic conditions. This allows the peroxide to maintain a stable state and allows for excellent shelf life. If products contain a reduced pH to stabilise the peroxide, they are going to be more acidic. This increases the chance of sensitivity and risk of damage to the enamel. Although you should look for gels with a neutral pH when stable, effective bleaching requires the product to move into a pH of above 7.0 if it is to encourage the release of perhydroxyl ions. This means you should opt for a gel that has an increased alkalinity once activated. Peroxides naturally dehydrate teeth, which can be a cause of sensitivity. It can also result in a temporary whitening effect which dissipates once the enamel is rehydrated. For consistent and durable whitening effects - and a product that minimises sensitivity - look for a water based gel. Ideally, this will have a high water content of approximately 20% that still retains optimum viscosity. As one of the biggest risks of whitening with peroxides is tooth sensitivity, we recommend looking for a gel that contains Potassium Nitrate and Fluoride. While 10% Carbamide Peroxide is the original formula recommended by Dr Van Haywood, Hydrogen Peroxide or higher concentrations of Carbamide Peroxide usually have less wear time. To ensure you offer all your patients a greater choice and can meet their individual needs, look for a whitening brand with a range of peroxide strengths. What do the British Dental Association say? The BDA suggest that the maximum concentration of Hydrogen Peroxide that may be used in the EU is 6% - present or released. Get to know what you need from each treatment solution; what’s safe and what’s going to deliver the most effective results? And make an educated choice when choosing the right brand for you and your patients.